Amy Knackstedt moved her family to Weaverly, Kansas, a community of both Mennonite and non-Mennonite residents. While trying to settle into their new home, she encounters her next-door neighbor, a seemingly grouchy man who warns her to keep her children at home and out of his orchard. What transpires afterward is a heartwarming story of family, loss, forgiveness and healing. This is definitely a “five-star” book. Bekah Knackstedt, Amy’s thirteen-year-old daughter is loyal to her faith and her family. However, she begins to question her faith after her dad’s death and the family relocates. Parker Knackstedt, Amy’s eleven-year-old son who’s suffered a brain injury due to an accident. He yearns to be accepted as he is and for a father figure in his life since his dad passed away. He finds a “best friend” in Mr. Roper, who’s reluctant to relinquish his heart to these children. Adrianna Knackstedt, or “Adri” is Amy’s five-year-old daughter is the precocious and precious baby of the family, who comes up with the cutest comments and questions. Tim Roper is the ex-Mennonite neighbor who wrestles with the loss of his wife and son five and a half years ago in an automobile accident for which he feels responsible. He’s also begun to struggle with the decision he’d made many years prior to leave his family and the Mennonite faith. When the Knackstedts move next door, he grapples with surrendering his heart to the children–and their mother. Margaret Gerber, a matronly and highly opinionated Mennonite matriarch-type who proves to be a friend to the Knackstedts as well as the rest of the community. 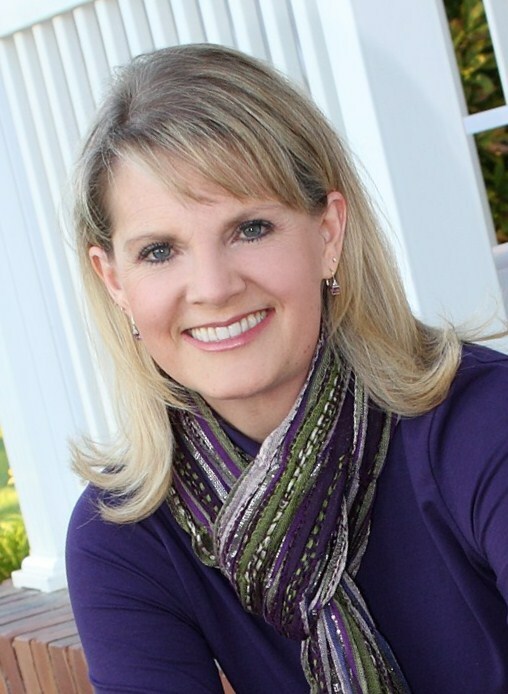 Kim Vogel Sawyer is a best-selling author of twenty-five books. 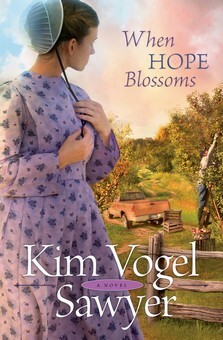 A member of the American Christian Fiction Writers, she writes “gentle stories of hope.” If I could come up with one descriptive word for Kim Vogel Sawyer’s writing style, it is picturesque. She has an outstanding talent for weaving words that will touch your heart. If you’d like to know more about Kim’s books, please visit her website: http://kimvogelsawyer.com. Or, you can purchase them at http://www.Amazon.com, http://www.Christianbook.com, or http://www.BarnesandNoble.com. I received a copy of this book from Bethany House Publishers for the purpose of a review. The opinions expressed are entirely my own. This entry was posted on Tuesday, August 28th, 2012 at 11:10 PM and is filed under BOOK REVIEWS. You can follow any responses to this entry through the RSS 2.0 feed. You can leave a response, or trackback from your own site.